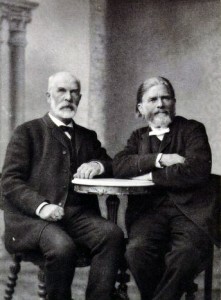 Cato Guldberg and Peter Waage discovered the Law of Mass Action relating the rate of a reaction to the concentrations of the reactants. August 11 is Cato Maximilian Guldberg’s birthday. Guldberg was a Norwegian chemist and mathematician who, with his brother-in-law, Peter Waage discovered the chemistry law of mass action. The law of mass action relates the rate a chemical reaction progresses to the concentrations of the reactants. Up to this point, the rate of a reaction was thought to depend on the chemical affinity between the two reactants. For the reaction aA + bB → C, the reaction rate would be proportional to the concentrations of A and B and their stoichiometric ratios a and b. The proportionality constant between them is known as the rate constant, k.
When you think about it, a reaction is more likely to proceed quickly when there is more stuff to do the reaction. The two weren’t immediately recognized for their discovery. The path to recognition involved a lesson in publishing in the language of who you want to gain recognition from. They published their new findings in a Norwegian scientific journal and consequently, the rest of the chemical world basically never heard of the work. The scientific community doesn’t often follow Norwegian journals. They republished their work in a French journal and the work remained obscure until German chemist, Wilhelm Ostwald published an article that mentioned the law and proved it with experiments of his own. When Dutch chemist Jacobus van’t Hoff derived his kinetics equations in 1888 and received credit for ‘discovering’ the relationship, they republished their original work in German. This time, they were recognized for being the original discoverers of mass action. German and English were the languages of chemistry in the 19th Century. Another relationship Guldberg is known for came about from his investigations into how dissolved substances affect the freezing point and vapor pressure of the pure liquid. Guldberg discovered a relationship between boiling point and critical point of a liquid. The boiling point is the temperature where the vapor pressure of a liquid equal to the pressure surrounding the liquid and the liquid becomes a gas. The critical point is the temperature where there are no longer any phase boundaries. Guldberg showed the temperature of the boiling point is two-thirds the temperature of the critical point when measured on the absolute temperature scale. This relationship is known as Guldberg’s Rule. 1972 – Max Theiler died. 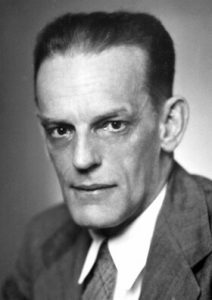 Theiler a South African/American virologist who was awarded the 1951 Nobel Prize in Medicine for his work on yellow fever. Theiler and Hugh Smith developed a vaccine for yellow fever just in time for an epidemic in West Africa. The Rockefeller Foundation distributed 28 million doses of this vaccine in 7 years that effectively eliminated the disease. Theiler contracted yellow fever while pursuing his vaccine. Fortunately, he survived and gained the immunity surviving the disease grants. 1926 – Aaron Klug was born. Klug is British chemist and biophysicist who was awarded the 1982 Nobel Prize in Chemistry for the development of crystallographic electron microscopy and discoveries into nucleic acid-protein complexes. Crystallographic electron microscopy uses the same principles of x-ray crystallography but uses electrons instead of x-rays to determine the structure. The process also takes two images from slightly different angles to create a stereo three-dimensional image. 1861 – James Bryan Herrick was born. Herrick was an American physician that discovered the blood disease sickle-cell anemia. One of his patients came in with pain in his back and extremities with a slight fever and shortness of breath. After taking a blood sample he discovered several long sickle shaped red blood cells. 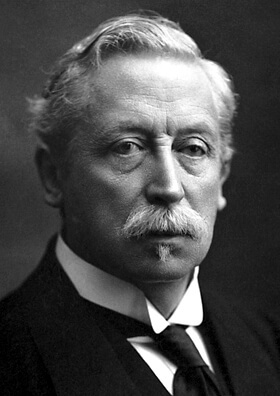 1858 – Christiaan Eijkman was born. Eijkman was a Dutch physician who was awarded half the 1929 Nobel Prize in Medicine for the discovery of vitamins. He identified the disease beriberi is caused by poor diet and particular foods would prevent the disease. It was later determined beriberi is caused by a vitamin B1 (thiamine) deficiency. 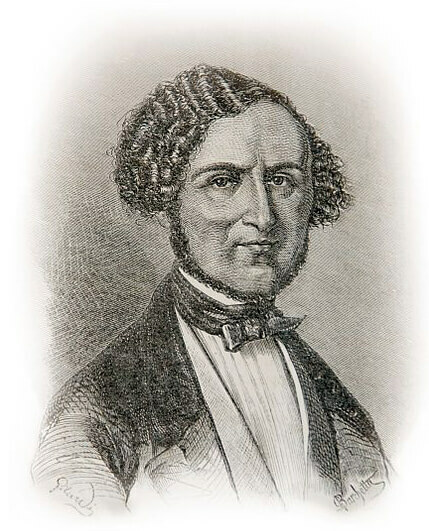 1854 – Macedonio Melloni died. Melloni was an Italian physicist who was the first to investigate infrared radiation or radiant heat. He improved the design of the thermopile, which produces a current when heated to detect the radiant heat energy. He created lenses of rock salt (rock salt is transparent to infrared light) to demonstrate this heat could be focused, reflected and polarized just like visible light. 1836 – Cato Maximilian Guldberg was born.